Who is the Brother XM2701 For? Decision Time: Is this Brother Sewing Machine Right for You? We love how affordable the Brother XM2701 sewing machine is. It comes from a trusted brand, is packed with features, and will seamlessly fit into your home and your life. 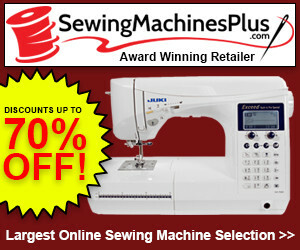 As far as sewing machines go, this is a great all-around machine which will please beginners and expert users. We had the pleasure of using this machine for a few hours and found it to be a delight. The performance is top notch, the ease of use makes it appealing to everyone, and the simplicity makes it great for quick projects. Want to hear more? Let’s take a look. Brother XM2701 Price: $85.99 "I have never used a sewing machine in my life until I bought this." When it comes to the number of in-built stitches, the Brother XM2701 Full Disclosure: We earn a commission if you click this link and make a purchase, at no additional cost to you. sewing machine is on the lighter end. It is not a completely basic machine, and it is also not overloaded with options. The sewing machine comes with 27 stitches, and you get a little bit of everything. You have the typical basic stitches, some decorative stitches, and quilting stitches. There is a buttonhole option too. The stitch you need is easily selected with the dial. Turn it to the stitch you need, and you are ready to go. Included with your sewing machine is 6 sewing feet. By switching out one for another, you can add zippers, create buttonholes, zigzag, blind stitch, hem, and button. The sewing feet are also easy to switch in and out. There is also a free-arm which can be used for more awkward sewing, such as cuffs and hems. An LED light aids you when it comes to low-light conditions. There are two things which we like about LED lights. Firstly, the bulb will not get hot. There have been countless times where we have touched a bulb by mistake and burnt ourselves. You do not need to worry about this with an LED bulb. Secondly, LEDs also last for a long time. You do not need to worry about the bulb burning out. The light is also bright enough to keep you working no matter the light level. You get a user manual included with this machine. The instruction manual will take you through everything you need to know to operate the machine. You also have an instructional DVD which will enhance and expand on the instruction manual. With visual representations of the intended use of the machine, you will find it extremely easy to use the machine. This is a quiet machine. When we ran it, we were surprised at just how quiet it runs. It is by no means silent but, when compared to other machines on the market, it is an extremely quiet machine. We like how affordable this machine is. The machine is on the more basic end of the spectrum, but the price you pay suggests that the machine should be more basic. For what you get, this is an extremely affordable machine and a lot more powerful than rival machines on the market. This is an extremely light machine. We like to sew on the go, and this machine is perfect for that. It is a perfect size and weight to take in and out of storage easily. It is also easy to transport, so you can take the sewing machine with you when you need to do projects at someone else’s home or in a workplace. A lot of simplicity has gone into this machine. Brother has taken the time to ensure that the machine is easy to use for all levels of user. There is an automatic needle threader which we love. Threading a needle can be a frustrating experience, but by locating the lever at the side of the machine, you can have the needle threaded in a second. The drop-in bobbin system adds to the simplicity. It takes a second to thread the needle and a few seconds to load the bobbin into the machine. The bobbin system will automatically wind the bobbing for you, saving you time and energy. Everything has been set up so that you need minimal effort to start any sewing project. We like how easy this machine is to use. The automatic threader and bobbin system contribute enormously to this, but there is more. The drop-in bobbin is also jam-resistant. There is nothing worse than a bobbin jamming when you are midway through your project. The stitch dial is also great for new users. Simply turn the dial to select the desired stitch, and you are ready to go. The Brother XM2701 Full Disclosure: We earn a commission if you click this link and make a purchase, at no additional cost to you. is a great entry-level machine for new users. The machine is manual, so there is no need to navigate through long menu screens. There are enough stitches that new users will be able to complete many projects without there being too many stitches to overwhelm a new user. This is not a machine for professionals or business owners. There are enough features here to keep intermediate users entertained but not enough for the more complex projects. If you are a novice user, then we would not recommend any product over this one. It has everything you need to get started with most regular sewing projects. If you are looking for something more powerful or want to move on from this sewing machine, then the Singer heavy duty 4423 Full Disclosure: We earn a commission if you click this link and make a purchase, at no additional cost to you. sewing machine would be an excellent machine to move onto. Usually, we would recommend extra dog feet, but this machine already comes with a lot. You also get a 3-needle set, the 6 sewing feet which we already mentioned, a darning plate, twin needles, an extra spool pin, a screwdriver, user manual, and an instructional DVD. We would recommend investing in some extra needles for when the 3 included needles wear out. They will last you for a little while, but 3 needles will soon wear out if you are working on a lot of projects. The Brother XM 2701 Full Disclosure: We earn a commission if you click this link and make a purchase, at no additional cost to you. sewing machine is not going to dazzle more advanced users, but it will be a welcome purchase for novices and intermediate users. It is one of the most affordable machines on the market, and you will be hard-pressed to find a better machine for the same price, or anywhere near the same price. 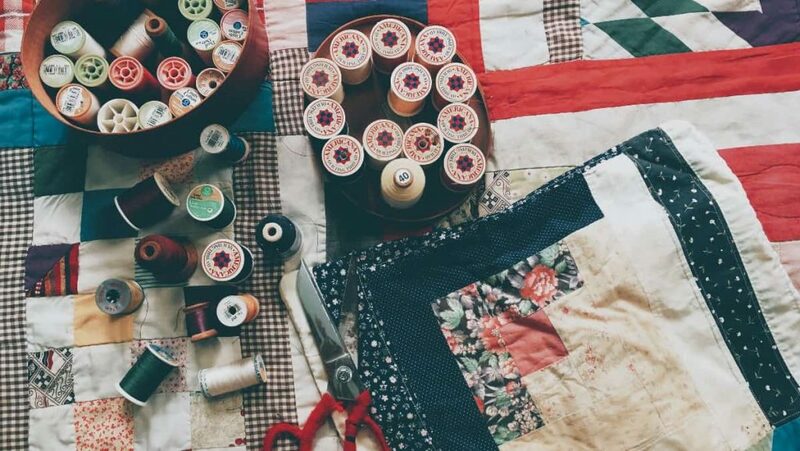 With many stitching options, including decorative, quilting, and buttonholing, you have enough stitches at your disposal to facilitate most starter projects. Where this machine stands out is in its ease of use. From the moment you set up the sewing machine, you will love how easy everything is. The needle is automatically threaded, the bobbin is automatically wound, nothing gets jammed, and selecting your stitch has never been easier. When you get going, the machine has enough power to tackle your heavy-duty sewing projects while being quiet enough not to disturb anyone. A great machine for both beginner and intermediate users. The Brother XM2701 sewing machine came in at #5 in our Best 12 Sewing Machines List. Here’s the full list, including the other 11 sewing machines. The following links will take you to the review of each machine. Brother XM2701 Full Disclosure: We earn a commission if you click this link and make a purchase, at no additional cost to you.